Posted in Misc on 11:08 pm by March 24, 2019 . 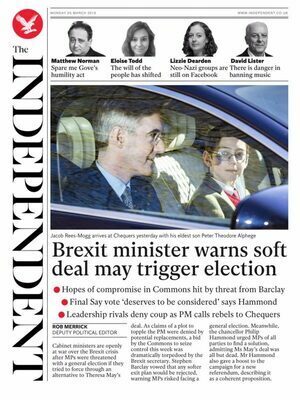 Is that me sitting with Jacob Rees Mogg on the cover of the Independent? Bertie Theodore Alphege Blenkinsop it is so. Moggy really is a caricature of the old skool Tories, complete with broom handle shoved up his jack. . The haircut, the glasses, the shirt and tie, that’s just child abuse. It’s worse than Paris Hilton and her handbag dog. So the child should just be left to walk into things he can’t see? Eoin, it might surprise you but there are millions of children dressed in glasses, shirt and tie 5 days a week, september to june every year. 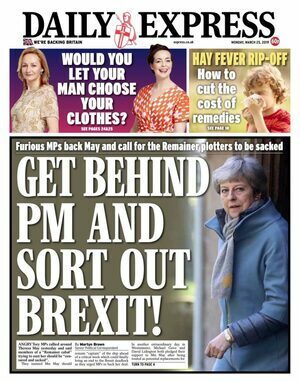 Hold on I thought you were at that FG gig over the weekend,belting out God Save The Queen amid cries of regain the empire and bring the games. 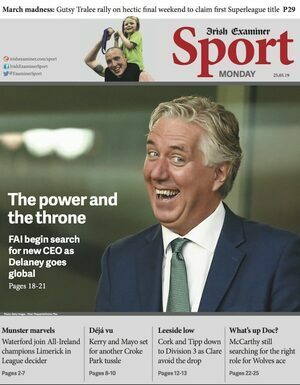 John Delaney will only earn €280,000 in his newly created role, comprising a payment of €120,000 from the FAI and €160,000 from UEFA. It’s a good job that John is taking on this new role, if it were me, I’d be soliciting bribes left, right and centre to my Scottish limited liability partnership and my Gibraltar bank account for bogus consultancy fees. 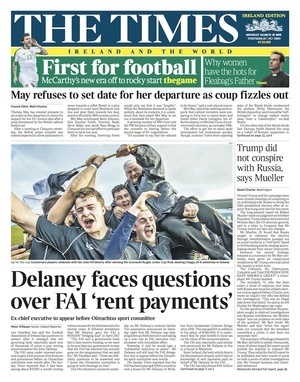 International football is so lucrative, TV rights, venue selection, political lobbying, rule changes and judgements, stadium construction etc, there is huge potential for corruption, there is very little scrutiny, I mean, how many Irish people even know what match fees and bonuses are paid to Irish international players. I’d be filling my boots but we’re lucky we have someone of John’s calibre now doing the job. 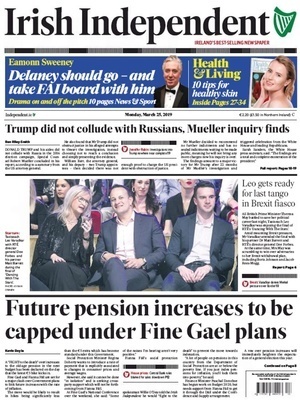 Front page of the Indo, Ireland’s biggest circulation daily newspaper, Taoiseach Leo with Dee Forbes, the boss at RTE in the front row of Ireland’s most watched TV programme, Dancing With The Stars. 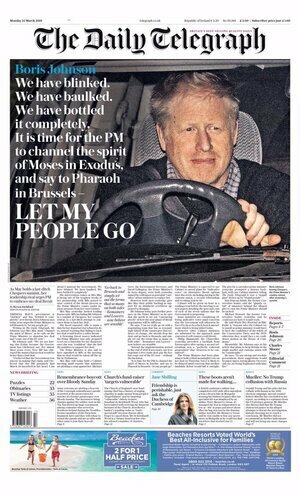 I’m not saying certain media are providing favorable platforms to one particular politician in return for €7m of advertising, or support for the licence fee, but it looks so sleazy. Shouldn’t an independent media keep an arms-length from the people responsible for their survival? That’s nothing. Flicking the stations last evening I came across a program on RTE – something like ‘Celebrities Moroccan Bullpoo tour’. Have a look on the Player. You’ll sit in wonder as to why RTE are buying this drivel. Look up Celebrity Globetrotters. any chance of a few oul Tickets for the Champions League final? 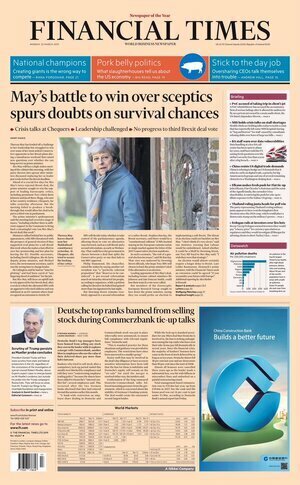 Sounds like there’s an election that they don’t want to win in the offing. 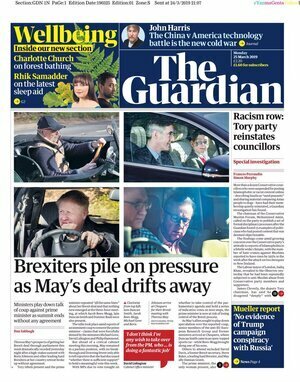 Too late to make the front pages, but Scott Walker has died. One of the all time greats, gutted. Somewhere Johnny will be having a laugh. Yesterday’s Sunday Times Rich List revealed DOB is no longer Ireland’s richest native. He barely makes it to #6. Household names like Dermot Desmond, the Goodmans and the Stripe lads from Limerick, the Collisons are worth more. 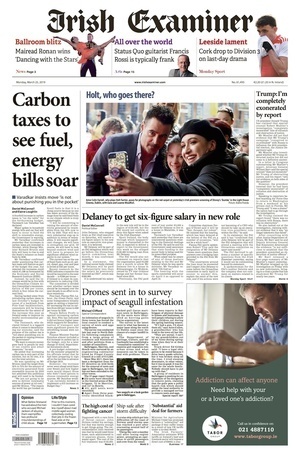 The Sunday Times values DOB’s 94% stake in Digicel at €500 million “and that’s generous”. I wonder did the Sunday Times Nick Webb have any input to that assessment, it’s only four years ago when INM, the Indo and Sindo, where Nick was then a contributor, was valuing DOB’s equity in Digicel at around €5 billion. What’s changed in the past four years? Local currencies in corrupt dumps have depreciated against the US dollar in which Digicel’s $7.2 billion bonds and interest are denominated , quelle surprise. Competition from Carlos Simm and John Malone in the cut-throat mobile business has intensified, quelle surprise. The structural problems at Digicel were laid bare in documents published in 2015 ahead of the cancelled public offering, seems it has taken some slow learners time to catch up. The Phoenix recently opined that Digicel was worthless because of the market value of its bonds. I’d say it’s worth whatever the bondholders think DOB’s cooperation with a debt foreclosure is worth, €100m max. 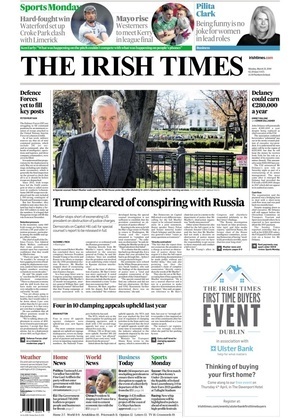 The Sunday Times thinks DOB is now worth €2 billion overall, down €1.8 billion from 2018. I’d say his net wealth is closer to €200 million. Agreed he’s got a nuisance value to the bondholders,Digicel hasn’t done any acquisitions since the IPO,which was a key component of its strategy. 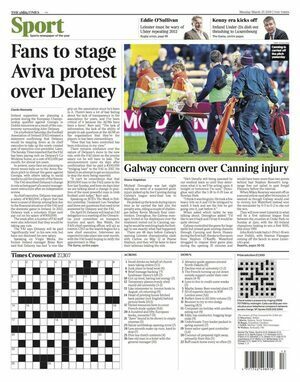 Given he’s not in a position to blow 10 million here and there (Hillary/Delaney) like the good old days,hopefully he does the right thing and resigns from the various charitable boards.Noticed he’s chair Ireland’s Special Olympics,can’t find a annual report,but did read their press pack/release.They need 14 million over the next few years to implement an extremely ambitious expansion plan,why have a broke chair ? The only reason billionaires in NY/America are tapped to be on charitable boards is to contribute significantly- basically that’s the deal-if he can’t or won’t then he should do the right thing and resign. Fupn Jacob Rees Mogg ? Could be worse, you could be his youngfella! Kind of grumpy looking. Do you have a headache?